Om een kwarteeuw 'Burn My Eyes' te vieren, trekt Machine Head dit najaar doorheen Europa. In een recent verleden, leek de toekomst van Machine Head nog uiterst onzeker. Met de aankondiging van een uitgebreide tournee, lijken alle twijfels weggenomen. Wie de vijfentwintigste verjaardag van succesplaat 'Burn My Eyes' wil vieren, kan op donderdag 31 oktober in Vorst Nationaal terecht. Nederlandse fans kunnen Robb Flynn en co reeds op 7 oktober te 013 aan het werk zien. "Let Freedom Ring! 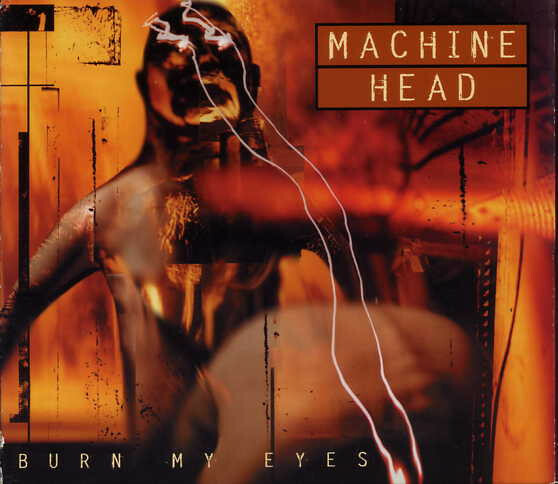 It is with great excitement that Machine Head announce the first leg of their 25 Year Anniversary tour for the band’s classic debut, ‘Burn My Eyes.’ The dates kick off in Germany on October 5th in Freiburg, and continue across Europe and the UK, wrapping in Dublin, Ireland on the 8th of November. [...] Building on their wildly popular ‘An Evening With…’ format, these not-to-be-missed shows will be a three-hour musical extravaganza, comprised of two parts: Part I - will feature a battery of Machine Head’s modern classics, such as ‘Imperium,’ ‘Halo,’ and, ‘The Blood, The Sweat, The Tears,’ featuring frontman/guitarist Robb Flynn and bassist Jared MacEachern performing alongside two, soon-to-be-announced ragers on guitar and drums. Part II - will feature the Bay Area band’s classic debut album, ‘Burn My Eyes’ played in its entirety for the first time ever. And if somehow this historical event could not be monumental enough, taking the stage for this part of the set will be ‘Burn My Eyes’-era alumni and Machine Head’s original drummer Chris Kontos and original guitarist Logan Mader. [...]"